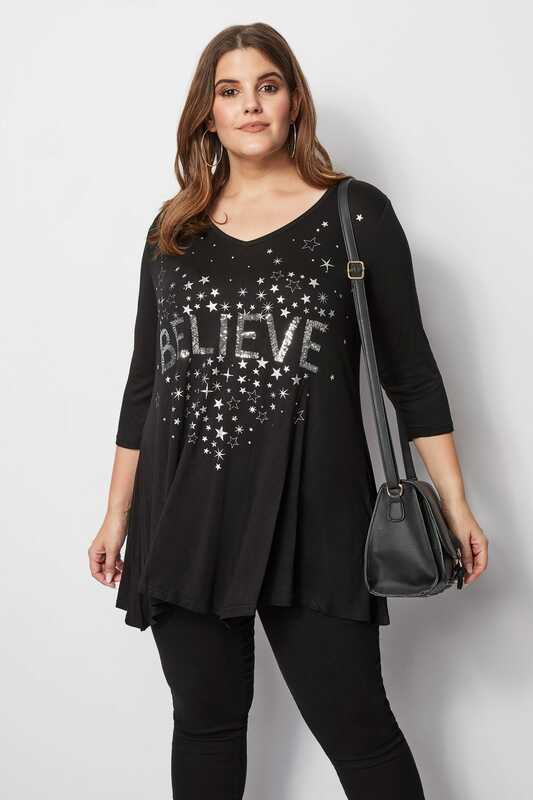 Add a touch of sparkle to your jersey basics with this sequin embellished top. 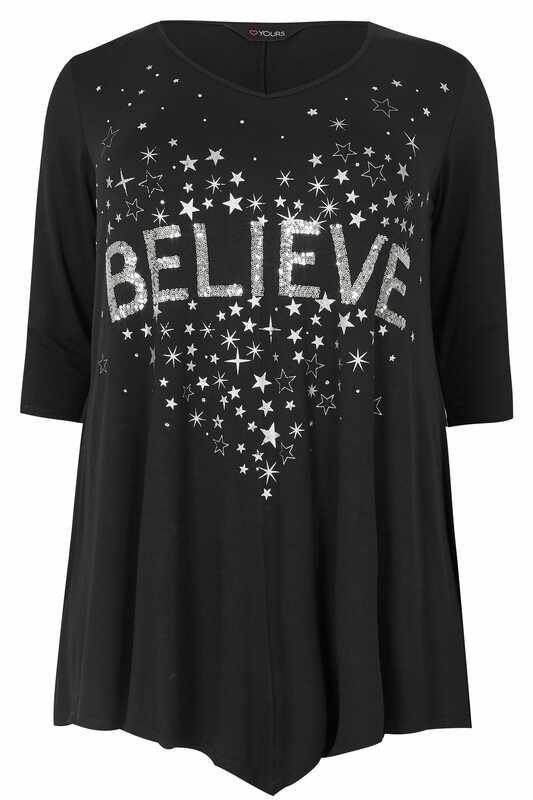 In a flattering asymmetric shape, it features a stud embellished star print design, 3/4 length sleeves and a feminine v-neckline. 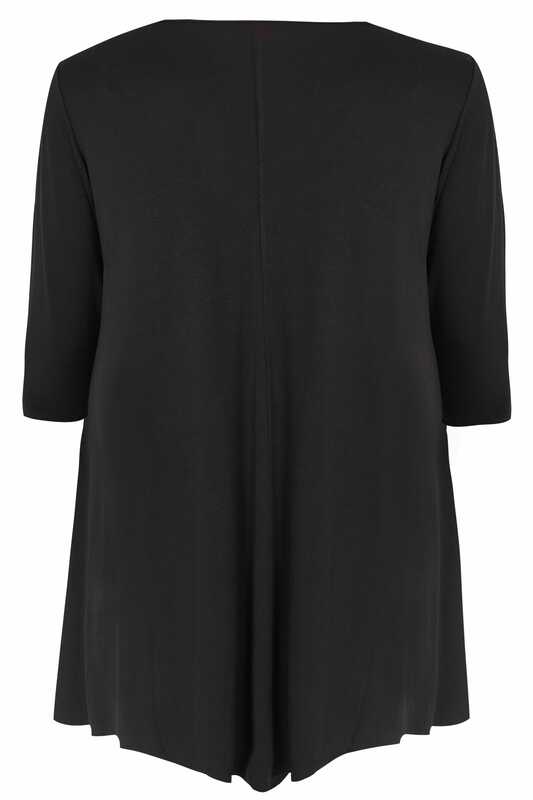 Style with dark denim and flats for chic off-duty appeal. 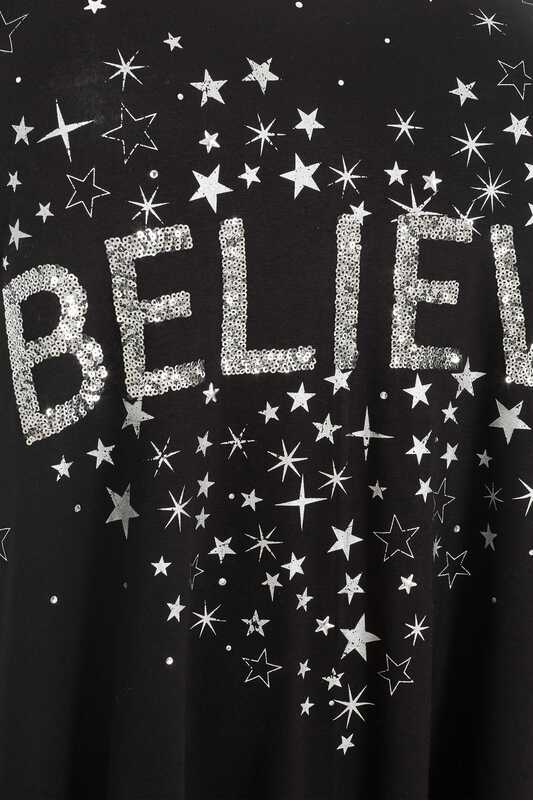 Chic and stylish, we are loving the sparkly sequin embellishment.